It has been somewhere in the region of six and a half thousand years but Kingdom Hearts III is now here! All of the tears, all of those sub-plots, and all of those battles, come to their final point. So what better time to look back over the games so far and pick out our Worst Worlds In Kingdom Hearts? Are you strapped into your Gummi Ship? You might need to be. 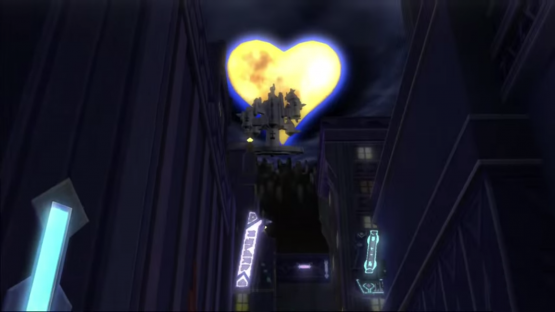 Is there anyone that actually enjoys this world in the first Kingdom Hearts? It is a horrible mix of slightly incomprehensible layout, some of the most obnoxious enemies in the game, and has a large requirement of platforming in a game that does have platforming but most definitely should not. Jumping in Kingdom Hearts is an unmanageable disaster, and the end result is falling through the canopy to the point of frustration. Combine this with one of the most utterly inconsequential individual stories in Kingdom Hearts (albeit with a fun boss fight in Clayton and the Stealth Chameleon), and you end up with a world that is not only terrible to play, but isn’t even worth the journey. This was a pick that I was torn on, as for a world that houses the main antagonists of Kingdom Hearts II, Organisation XIII, this is such an incredibly dull world. However, on the other hand, I understand that the world itself is likely supposed to be symbolic of the emptiness of the Organisation themselves and their quest to regain their hearts to cure said inherent emptiness. But the actual world itself is sadly one that just feels lacklustre in comparison to all of the others. 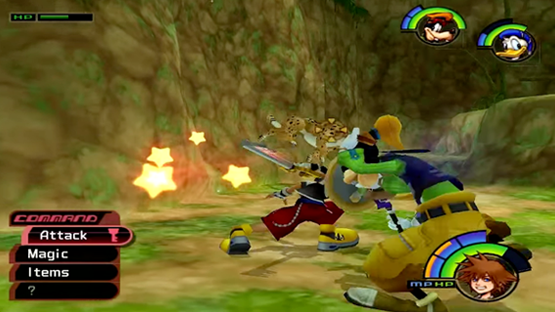 The world should have felt imposing and threatening, building up the players hype leading into what is the end game of Kingdom Hearts II, but instead is a drab and monotonous speed bump before the game ends. I absolutely love Tron, and found Space Paranoids in Kingdom Hearts II to be a wonderful, if painfully 80s, world. 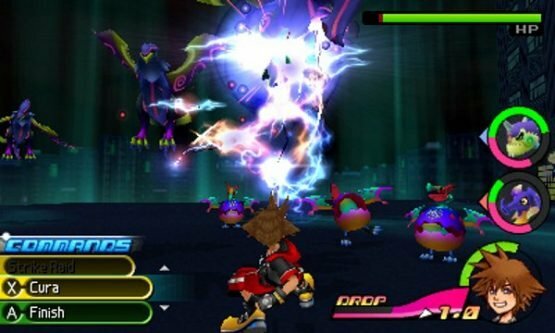 Then this absolute mess of a world came about in Kingdom Hearts 3D: Dream Drop Distance, based on the equally messy Tron Legacy, and ruined everything. It could be argued that The Grid did a fantastic job of replicating the feel of the source material; however, as the source material wasn’t great either, this isn’t the greatest of achievements. The characters are dull, the world itself is a bland (if terrifyingly neon) husk, and the bosses are disappointingly easy. Furthermore, CLU and Rinzler are just not as compelling as antagonists as Sark and the MCP from Space Paranoids. Really this should never have made this list, because I love pirates, but this world is a tremendous disappointment. 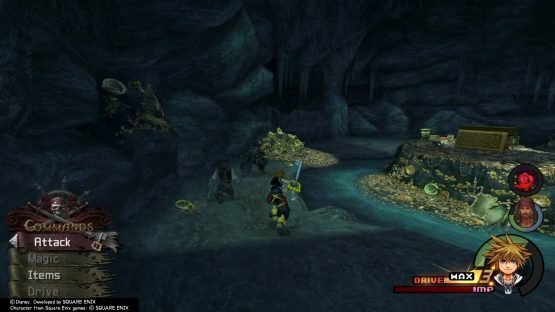 Although the key narrative beats of Curse of the Black Pearl are here, including the undead pirates as enemies and Barbossa as their captain, it lacks any of the life (hurr hurr) or fun of the source material, settling somewhere in the region of being a bland retelling of the film’s events. It was a fun experience to be able to walk around Port Royal itself, but with the action not quite being as swashbuckling as I would personally like from my pirate adventures, Sora’s first attempt at the pirate life wasn’t for me. Here’s to hoping that the next trip to that world in Kingdom Hearts III will be an improvement. Along with Deep Jungle, I feel pretty accurate in saying that this is possibly one of the most hated worlds across the whole series by fans. Firstly, is the area itself, which is repetitive and with no real distinction between the separate chambers of the level, apart from the starting moment in the mouth. Secondly, Pinocchio isn’t that likeable a character, being an utterly spoilt brat that just wanders off for no good reason. 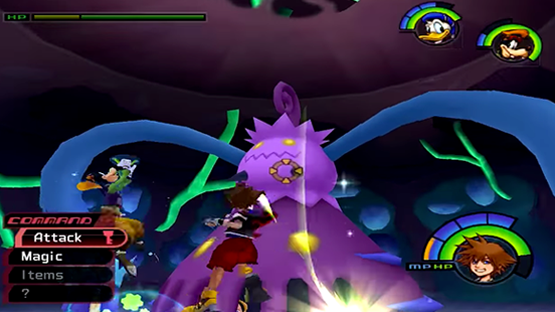 Thirdly, the boss of the world (Parasite Cage) is just disappointing considering how awesome a fight that could have been, especially given that it involves the old enemy of Kingdom Hearts players, jumping. Just an utterly awful world, made even worse in Kingdom Hearts: Chain of Memories. This is mostly here just because of its arguable disappointing overall nature. There are Disney worlds that would be far better suited to Kingdom Hearts, and yet we were gifted with a world based on a film that doesn’t really have the breadth of locations or character interactions to make for a decent narrative when brought into the series. So really, this gets onto this list purely to the insult that this being included means that other worlds will have missed out. Also, Snow White only matters at all because she’s a Princess of Heart. There, I said it.